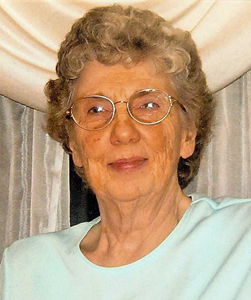 Newcomer Family Obituaries - Paulette C. Smith 1934 - 2019 - Newcomer Cremations, Funerals & Receptions. Smith, Paulette C. age 84, of Mount Healthy, Ohio passed away on Friday, January 18, 2019. She was born in Mount Healthy, Ohio on June 29, 1934 to Stanley and Mary Wernz (nee Mahlerwein). She was preceded in death by her parents; sons, Paul G. Smith, Joseph A. Smith; sister, Mary Wernz. Paulette is survived by her beloved children, Marsha (Harry) Linz, Milton (Chris) Smith, Jr.; siblings, Ardeth Meece, Stanley (Donna) Wernz, James (Donna) Wernz; 12 grandchildren; 17 great-grandchildren; and a host of other family members and friends. In loving memory of Paulette, contributions may be made to Hospice of Cincinnati Inc, c/o Bethesda Foundation, Inc. Cincinnati, OH 45263-3597. Funeral Ceremony will be at 11:00 am Friday, January 25, 2019 with a visitation from 10:00 am - 11:00 am at Newcomer Northwest Chapel, 7830 Hamilton Avenue, Cincinnati, Ohio 45231. To share a memory of Paulette or leave a special message for her family, please click the Share Memories button above. Add your memories to the guest book of Paulette Smith. I have a lot of good memories of Paulette. She was so important to our family. One of my fondest memories is playing games with Dad and Paulette. Paulette was very cleaver and ready to win any game we played. I will miss Paulette. To Stan & Paulette's family members. I was a classmate of Paulette's at Greenhills High. I remember her well. She was a very kind person & very likeable. My sympathy to Stan & all of her family members. My wife Sue (Bergen) remembers her well. At one time they rode the same bus to school. I have known Paulette from my school days at Greenhills High School. She was always a very wonderful person and I enjoyed being a friend of hers. I know that she will be very missed by her family and friends. I will always remember her in my heart. My condolences to the family. My mother lived by following the golden rule, as she always tried to do the right thing and urge her kids to do the right thing. I had never heard a prejudiced word come from this woman about anyone. She was a very loving mother, generous person. Many times in my life when times were rough I would surprisingly get a 20.00 bill in the mail which always came in at the right time. She was set in her ways that she would rather leave money to her kids then to spend on herself. I love my mother dearly and look forward to the day when I can be with her again. My mother raised a wonderful sister who was loyal to my mother up until the end taking good care of her.